Imagine you are in the City of Joy, the Palace of Shadiabad. Here in the valley the late summer steams, but you are cool in the evening with the breeze blowing through the hall. The scents of sandalwood and flowers drift past as you walk into the entryway, admiring the complex lines of rice flour and turmeric on the floor. The layers of jewelry around you tinkle softly as you walk. The low sound of music greets you even before the servants step forward to wash your hands. Friends greet you with joy as you take your seat. Pitchers of ice-cold water, fruit juices scented with spices, and sweet lime arishta are brought in, and you thankfully take a glass of the sweet and cold lime punch. The city of Mandu was the seat of the Malwa Dynasty at the turn of the 15th century in central India. 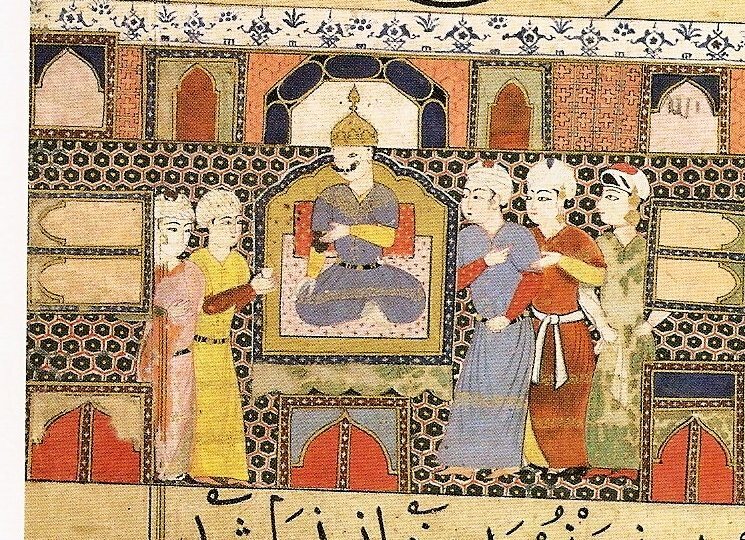 The Sultan of Mandu Ghiyath al-Din, known as Ghiyath Shahi, determined to surround himself with women and pleasure. His reign was one of art, culture, music and a strange egalitarianism as he staffed his entire court with women; guards, cooks, counselors and companions. Towards the end of his life he began the Ni’mat nama, the Book of All Pleasures, a guide to the food and other pleasures of his court. Join us as we explore these pleasures in a relaxed evening of food, drink and entertainment.